Do you keep waking up because you have difficulty breathing or you can’t play any sports because your breath is short and you are wheezing? Have you been diagnosed with asthma, but you don’t want to use the inhalers? Would you at least like to reduce the frequency of their application? Are you wheezing and out of breath but you don’t know why? Are you suffering from a chronic cough not allowing you to fall asleep and waking you up in the middle of the night? Maybe, you can’t even finish your sentence or climb the stairs without having to take a break because of a coughing attack? Breathe freely again and lessen the harmful side effects of medication. Bioresonance is an excellent method for unveiling the causes that lie behind such problems and for their elimination as well! asthma is more common among children (10% of the world’s population) than among adults (5% of the world’s population). Asthma is one of the most common chronic diseases accompanied by continuous inflammation of airways. 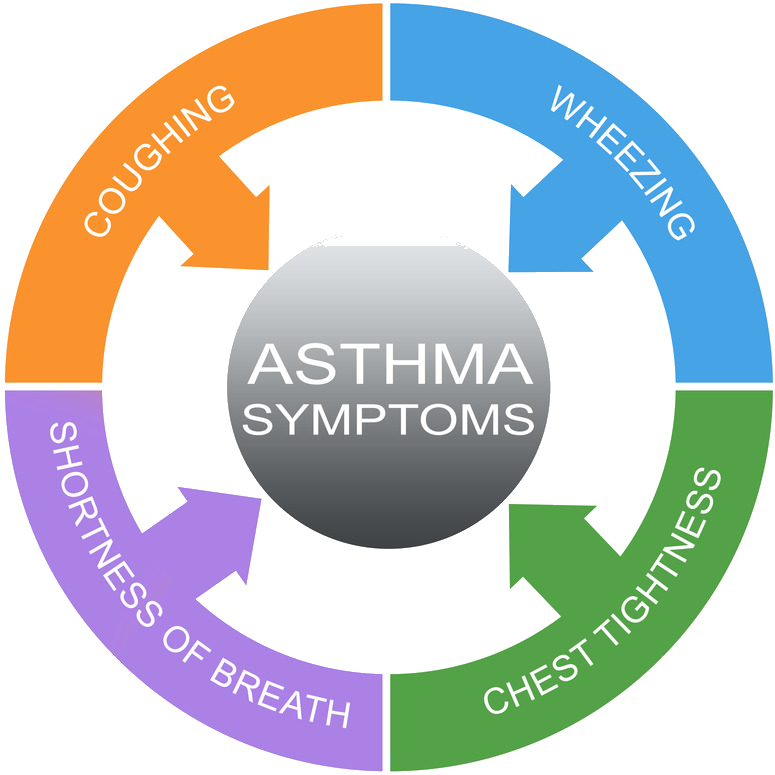 Symptoms of asthma are coughing, wheezing, shortness of breath, secretion and occasional chest tightness. Causes of asthma often remain unexplained. In most of the cases, asthma is a result of hypersensitivity to various allergens. When allergens or mere irritants come into contact with inflamed bronchi, the latter narrow even more because of an excessive immune response, they compress and cause severe breathing difficulties. Progression of the syndrome results in an asthma attack. Production of bronchial mucus increases significantly, breathing becomes nearly impossible. Asthma is a form of obstructive pulmonary disease (more on wikipedia) and is therefore the most common chronic lung disease. Namely, 15 to 17% of people suffer from it. We do not know what causes asthma. Threatening factors contributing to its emergence are explored to a greater extent. It is known that asthma is related to allergies, in particular to increased allergen exposure. What Are Signs And Symptoms of Asthma? It is of significant importance that we recognize asthma attack symptoms as early as possible. secretion and occasional chest tightness. Sometimes it manifests as mere night cough. It may emerge only in certain seasons of the year or when we are exposed to diverse triggers or physical strain. What Are the Aims of Treatment for Asthma? Asthma treatment and observation must be permanent and continuous. This is the only way to a complete or at least very good regulation of asthma in most of the patients. 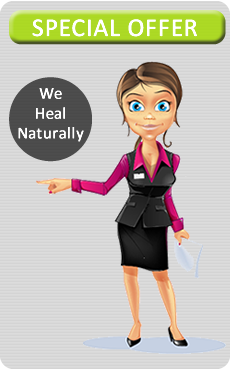 Our goal is a condition free of health problems during the day and at night. Normal physical activity shouldn’t pose a problem. There should be no aggravation of asthma that would lead to absence from work or school. There should even be no need for rescue medication or it should at least be reduced to a minimum. avoidance of hyperventilation – practice relaxed diaphragmatic breathing through your nose, during the day and at night. Asthma can be roughly divided into two types: allergic asthma and non-allergic asthma. It is a lung disease where the allergic reaction to inhaled allergens causes asthma symptoms to appear. Most common allergens are dust mites, house dust, animal hair and skin, pollen and mold spores. Allergic asthma is characterized by symptoms triggered by allergic reactions. Although it can partially be treated with medication, it is preferable to prevent symptoms by avoiding the triggers – allergens. This is the most common form of asthma, affecting more than 50% of 150 to 300 millions of asthma patients all over the world. Many symptoms of allergic asthma are the same as those of non-allergic asthma (coughing, wheezing, shortness of breath, chest tightness). However, the difference between the two is that allergic asthma is triggered by allergens mentioned above (dust mites’ feces, dead dust mites, dead human and animal skin, hair, pollen, mold, etc.) that eventually cause asthmatic response. The studies have shown that also common house dust significantly contributes to development of allergic asthma. A study comprising more than 1000 households has shown that endotoxins, normally present in house dust, were directly responsible for development of asthma. Endotoxins are toxic compounds that are produced by certain types of bacteria and released into the atmosphere during their decomposition process. We breathe these toxins into our lungs where they cause inflammation of airways. The most noticeable sources of endotoxins are therefore common dirt, house dust, outdoor air and particles from pets’ skin and hair. Recent studies have shown that the highest concentration of endotoxins is present in kitchen and living room dust and that it influences the development of asthma both in patients with allergies and those without them. DUST MITES – belong to the arachnid family. Their very well known close relatives visible to the naked eye are common ticks. A million-strong population of dust mites feeds on our dead skin and occupies our beds, beddings, carpets, curtains, stuffed toys and all kinds of fabric. Both the feces that are one of the most harmful allergens for people and the dead mites themselves cause allergy and asthma attacks. PETS – Asthma can be triggered by pets’ urine, saliva, hair, dead skin or feces if you are allergic to them. 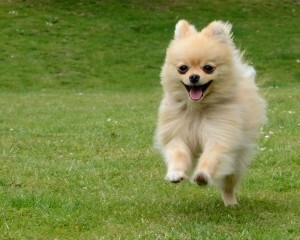 But you don’t necessarily need to own a pet to be exposed to allergens. It is interesting that allergens of animal origin were often found in places never occupied by animals. They can be brought there unintentionally by the owners or together with the mixture of pollutants in the atmosphere. MOLDS AND FUNGI – grow wherever there is excess water. They are most common in bathrooms or basement areas. They reproduce by means of tiny spores that can trigger allergy and asthma attacks in sensitive people. COCKROACHES – Their feces and digestive enzymes are allergens that can cause allergic asthma attacks. Since cockroaches are common residents in city apartments, they make an important contribution to prevalence of allergic asthma among urban population. It is triggered by factors not directly associated with allergies. Both allergic and non-allergic asthma are characterized by breathing difficulties resulting from inflammation of airways. Non-allergic asthma, too, can partially be cured with medication, but symptoms and triggers of non-allergic asthma are not associated with allergic reactions. Although many of the symptoms of both allergic and non-allergic asthma are the same (coughing, wheezing, chest tightness), non-allergic asthma is triggered by factors not directly associated with allergic cascades. ozone and other respiratory irritants. In non-allergic asthma the immune system is not involved in the asthmatic reaction. The main problem is the immune reaction: young children in early stages of asthma suffer from airways inflammation all too often (bronchitis …). From epidemiological (more on wikipedia) perspective, more and more people all over the world are affected by asthma. It is more common in developed countries and in higher social classes. One of the theories is that asthma is caused by good hygiene conditions. If a baby comes into contact with bacteria soon after birth, lymphocytes Th1 activate right away (immune defense against bacterial infection). If there is a lack of bacteria, (rich houses are clean), asthma and other allergies can develop. The so called “hygiene hypothesis” might explain the increase of asthma in richer parts of the globe. Another, similar theory describes the influence of the part of the immune system that protects us against parasites (e.g. intestinal). Th2 cells and eosinophil cells that protect people against parasites are at the same time responsible for allergic reactions. In the Western world, parasites are rare. This is why the immune reaction to allergens is believed to be all the stronger. The third theory claims that the increasing air pollution should be blamed for the spread of asthma. Certain industrial chemicals have been proven to be able to cause acute asthma attacks, but they are not proven to be the cause of its development. At the same time, the concentration of the majority of air pollutants has significantly dropped in Western Europe, while asthma continues to spread.